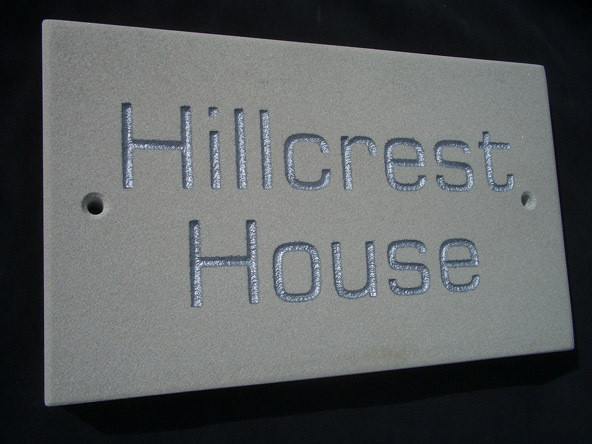 We often get asked what is the difference between a plaque and name plate for homes, technically they are the name as they both label peoples properties with address information however some people refer to plates as a metal type sign. 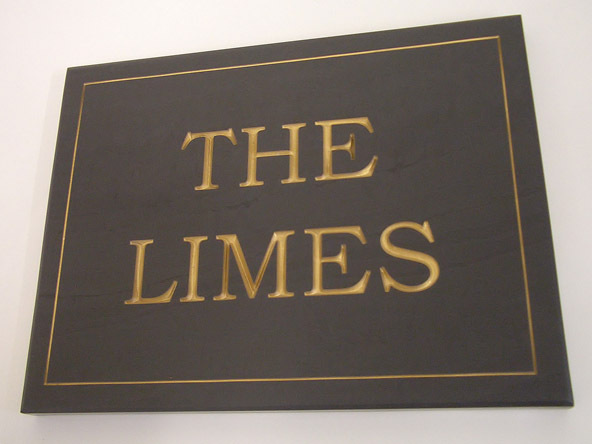 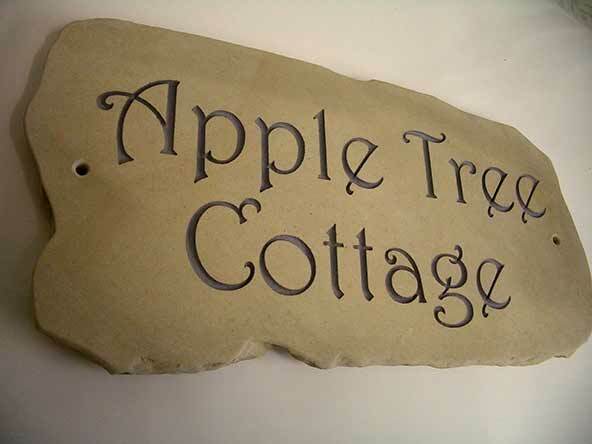 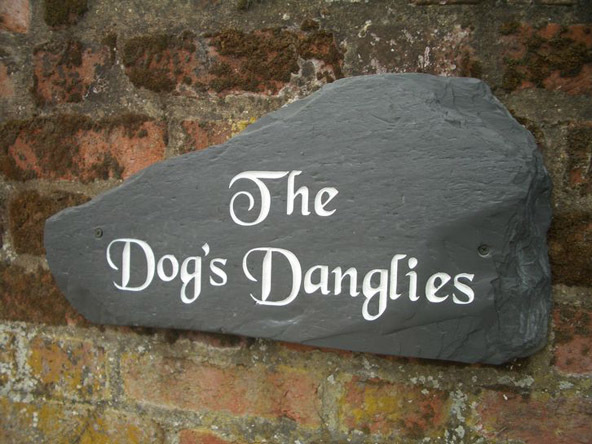 Our team at Rustic Stone makes elegant and stylish stone signs ideal for houses of all sizes and from old to new, we sell name plates, number plates in both regular edge and natural edge plaques made out of sandstone or slate. 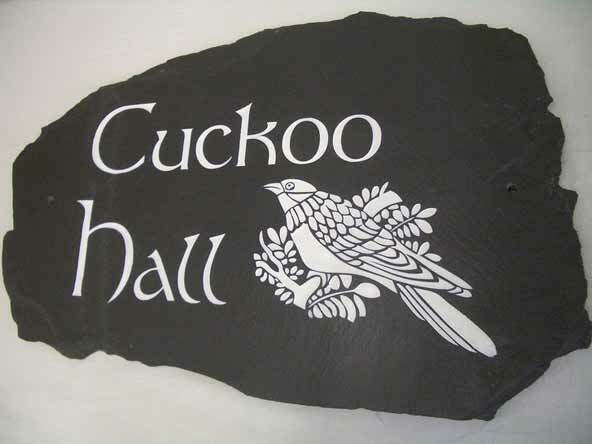 Our natural edge signs are made from using stones that are naturally broken in the shape displayed above, please note that the edges may look sharp but the edges have been smoothed to prevent cutting. 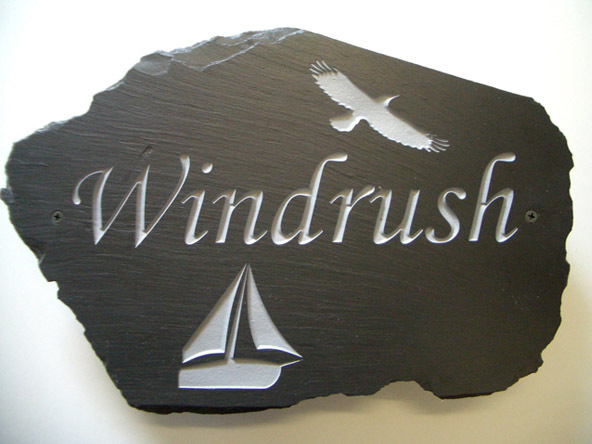 This range is available in riven finish as well as fine rubbed (polished / honed). 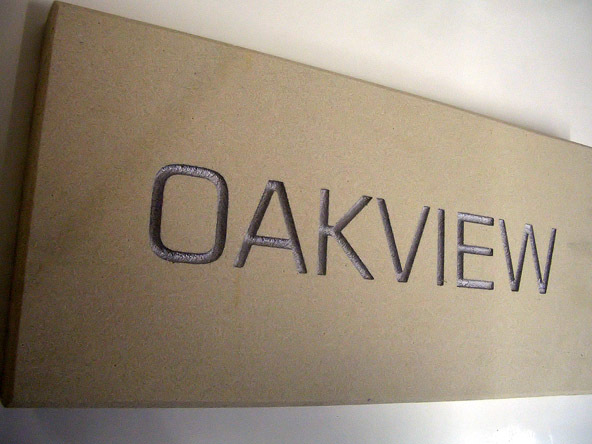 Riven allows the “grain” of the slate to be seen and is a much more natural finish, this stone type offers a modern looking sign for your home or business. 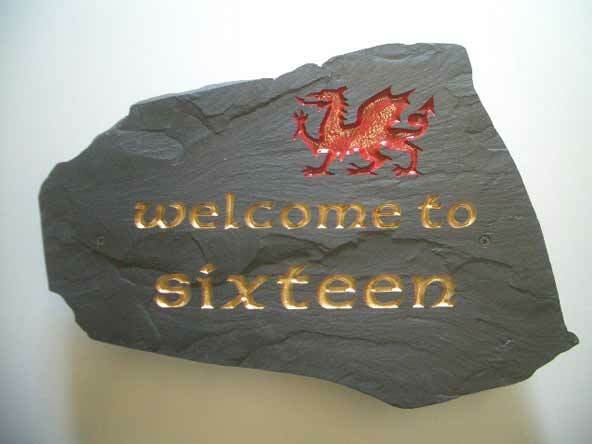 As with our other ranges these are fully customizable with a vast array of font styles and images, on polished regular edge slate there is an opportunity of greater detail as well as borders to also bring into the mix. 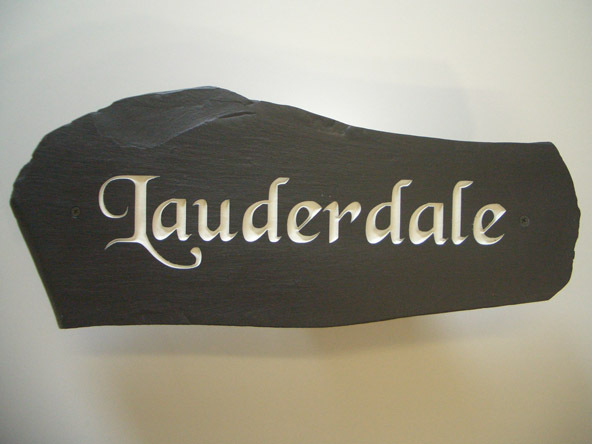 As with all our ranges we do not offer any real off the shelf images or borders as we like to produce unique work. 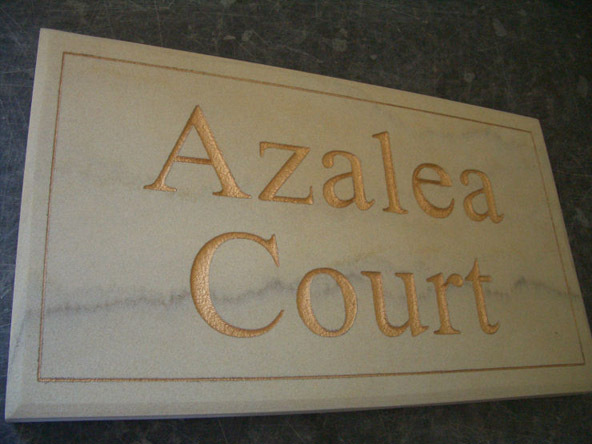 The text and images are first engraved to your specification and then painted in your colour choice. 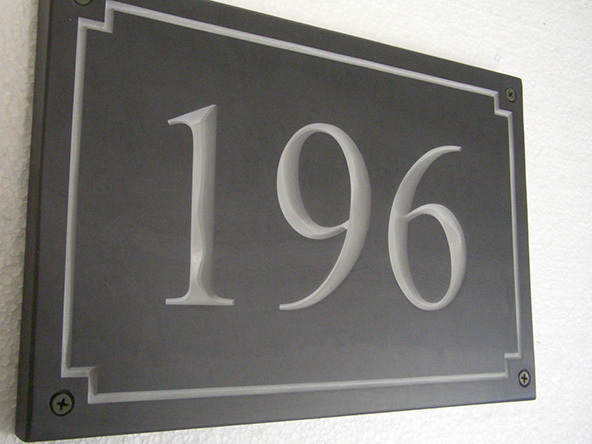 Slate and sandstone are very durable material that will ensure that your house plaque will last for years and years. 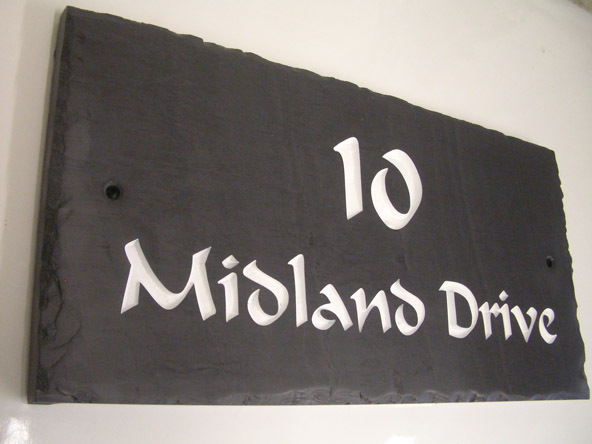 We have tried to show as broad a range of the shapes that the house plaques can appear in but they can obviously vary even more greatly!